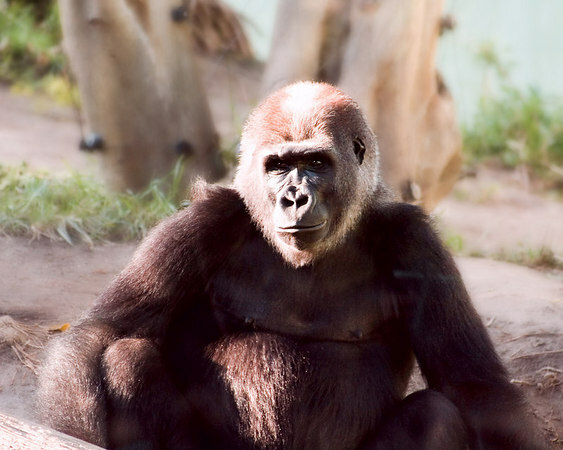 This is a gorilla at the San Diego zoo. The gorilla enclosure has a tinted viewing window that gives a blue/green tint to photographs. This image was shot in RAW and, by adjusting the white balance, I was able to remove the blue cast.